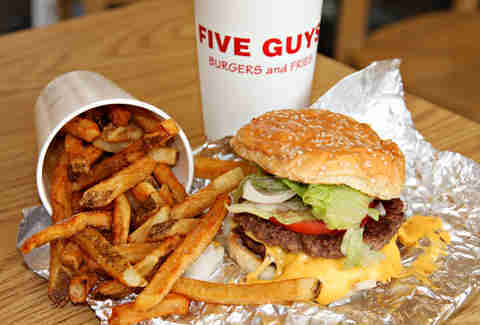 Few questions in American society are met with a resounding "yes" more often than "Would you like fries with that?" Partly because we have serious self-control issues, but also because fries are amazing. While they're perceived as a sandwich sidekick, they're often the chief substance a lonely soul idling through a fast-food drive-thru is craving. 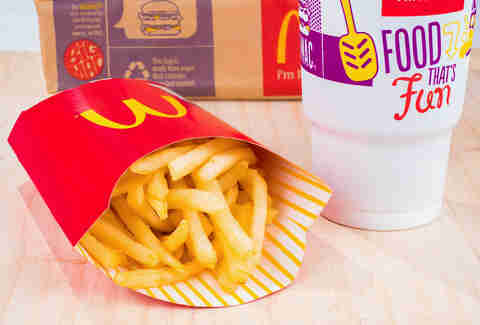 I've eaten many a fast-food fry in my day. 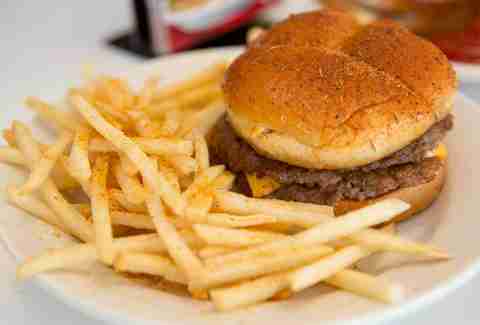 In fact, people are constantly coming up to me and asking, "Matt, which fast-food chain makes the best fries?" Fine, no one has ever asked me that. But I will nevertheless answer the question. A few ground rules. This is a discussion of potatoes, not condiments. A place might do some amazing chili-cheese fries but that's for another day that involves more Tums. Also, to be considered, a chain has to have either a national reach, or have developed a robust enough regional following to merit discussion. And for me to have eaten them. On with the rankings! 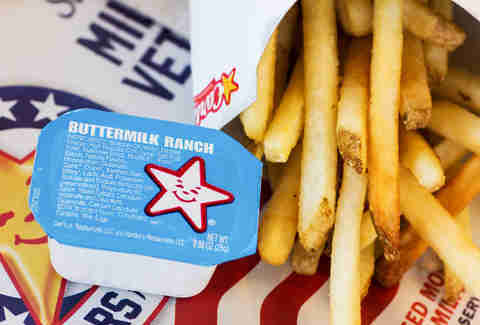 It took me a bit to catch on to the travesty that is the In-N-Out French fry. Chalk it up to my Midwestern residence, meaning any trip to there was coupled with the exotic thrill of dining in a faraway land and/or a crippling Las Vegas hangover. Also, if you go well-done or Animal Style, as newbies who've heard about this "secret menu" are wont to do, it can kind of mask their flaws. Which are many. An esteemed former colleague of mine enumerated those flaws far more eloquently than I ever could. 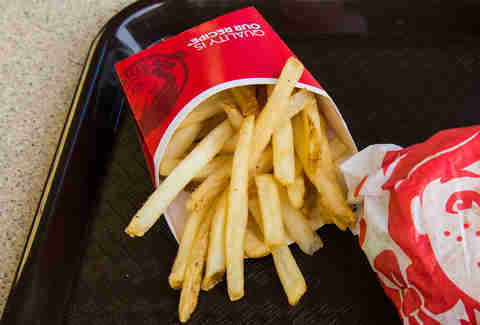 Wendy's made a bold move to "natural-cut" fries with "sea salt" a few years back, possibly in an effort to convince patrons they were at a farmers market rather than a chain restaurant with more than 6,500 locations. My experience has been the opposite. Wendy's former fries weren't anything to write home about (and believe me, I have had plenty of French fry-related correspondence with my parents over the years), but they were perfectly pleasant and paired delightfully with being shoved into a Frosty. Now they have this odd, barely-present-but-definitely-there artificial taste that seems off, visible flecks of potato skin notwithstanding. So yeah, you'd BETTER shove them in a Frosty. And this is coming from someone who absolutely loves Wendy's. 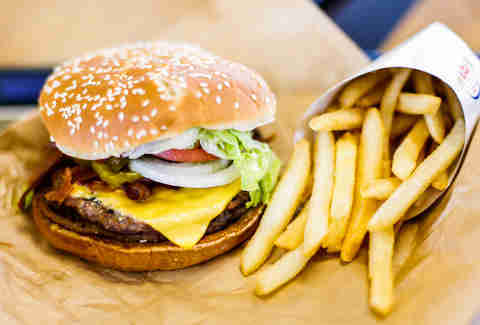 But I've been known to forego the fries as an excuse for another Junior Bacon Cheeseburger. I was so jacked up to have Sonic for the first time because Sonic spent like 10 years running ads in Chicago before a Sonic opened within 100 miles of me. Now, it's opened several. And the food at Sonic is… fine. Honestly, the mix-and-match drinks menu is really where it shines. The fries are serviceable but entirely unremarkable … gold-ish, salty-ish, good enough with some ketchup. But there's no reason you or I or anyone else should know this, because it has tater tots, and its tots are some of its best work. 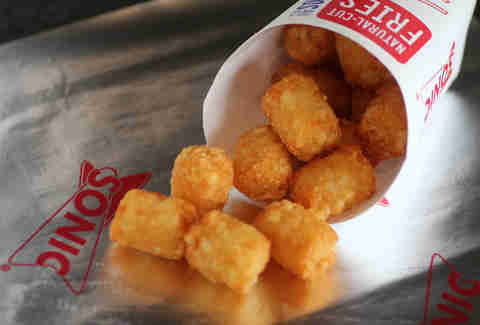 But alas, a tater tot is no French fry, so for the purpose of this exercise they're doing no good. 17. Hardee's & Carl's Jr. This has nothing to do with the announcement of the impending division between these twin brands. This has nothing to do with their prior penchant for peddling fast food with scantily clad, burger-crazed women. STICK TO FRIES, the hypothetical future angry internet commenters demand. The regular fries have the similar "I see some real potato skin but something doesn't seem quite right" quality that plagues Wendy's. They also have "Crispy Curls." 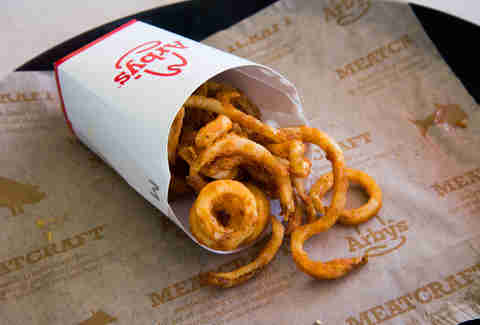 Imitation may be the sincerest form of flattery, but I've had you, Crispy Curls, and you're no Arby's. More on that later. Popeyes is included here. KFC is not, because its potato wedges were deemed ineligible for the French fry category by our esteemed committee. The only option here is Cajun fries, which come with a quasi-spicy, pepper-flecked orange sheen. I simultaneously want them to be spicier and not as spicy. Something about the flavor kick just doesn't hit me quite right. Also, any extra carb-related room at Popeyes should be reserved for more biscuits. Always biscuits. Are S'mores Fries the Best Fries in New York? I recall a moment in my younger days when Burger King made a big commotion about its fries beating those of a certain golden-arched competitor in a nationwide taste-test. Teenage me didn't quite agree back then. Adult me still does not concur. But you do you, BK French fry taste-test aficionados. For me they’re solid enough but just not nearly as exciting as some onion rings. 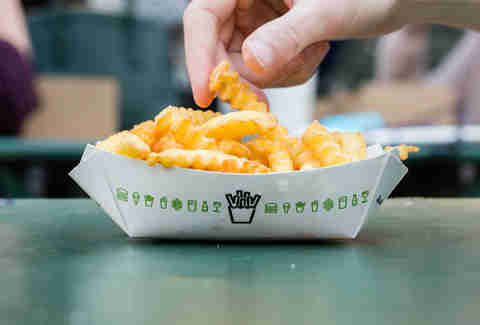 I have a complicated relationship with crinkle-cut fries. When they're good they can be transcendent, but it's also hard to shake the specter of frozen Ore-Ida mishaps when consuming them, and truly, when crinkle-cut fries are bad (read: underdone), they're REALLY bad -- all bland potato mush and not enough French fry pizzazz. 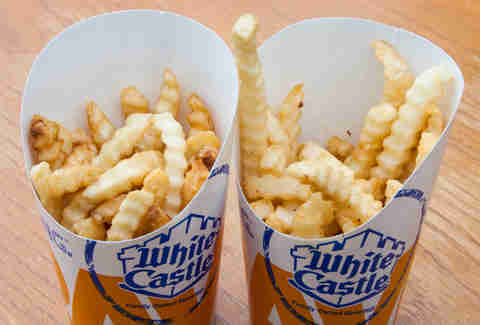 Rarely do you encounter this phenomenon at a fast-food establishment with deep fryer access, and generally I've found White Castle's fries to be on the positive end of the crinkle spectrum more often than not. But there's been the occasional underdone misstep. Which leaves us here. I'm honestly not sure I could distinguish Culver's crinkle-cuts from White Castle's in a blind taste-test. But Culver's has cheese curds so it gets the tiebreaker. MY RANKINGS, MY RULES! Obviously, if you're going to have a restaurant chain dedicated to chicken fingers, you had better have some solid french fries in the mix as well. And that's precisely what we have here, a solid (again, crinkle-cut) french fry that isn't going to steal the show but also does a fine job of dispatching any additional Cane sauce your chicken fingers left behind. The last of the crinkle-cut run (or is it?!) 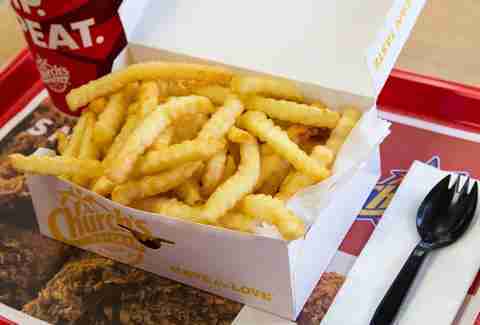 -- the couple of times I've had Church's the fries skewed just slightly more towards well-done than the two counterparts above, which definitely speaks to my fry preferences (though not my steak preferences). They are worth your time, although if you decide to forego them in favor of more chicken it's an understandable move. Steak 'n Shake has the thinnest fries on this list, which is a net positive for some and an unforgivable sin for others. I enjoy their thinness, to a point. It definitely makes it easier to say, "Oh fine, one more handful" while inadvisably working your way through a 7x7 burger. However, it also means they become stiff and unpleasant more quickly as they cool. The solution? Eat quickly before your stomach realizes what you've done. 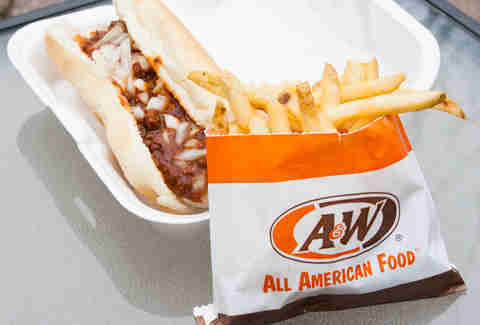 A&W: first in root beer, seventh in fries. New marketing slogan, perhaps? I'm available for consulting, A&W. The fries here are reliably excellent, skinny but not TOO skinny, always with good color and seasoning. I'm not sure what exactly the secret is but I swear there's almost a roasted flavor to them. Don't dunk them in a root beer float a la Wendy's. It really kills the vibe. I'll admit my Whataburger experience is somewhat on the limited side as my trips to Texas are generally centered around testing how much brisket the human body can feasibly consume. But I have a few trips under my increasingly tight belt at this point, and damn, these are some good fries. Nothing flashy or fancy, a textbook salty, golden fast-food fry done right. 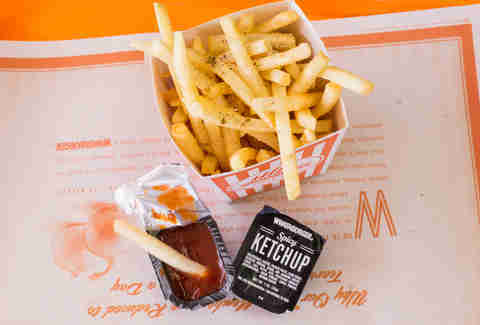 And I know we aren't addressing condiments here, but damn, that spicy ketchup is the truth. Checkers and Rally's are the less-heralded version of the Carl's Jr./ Hardee's two names in one chain phenomenon. 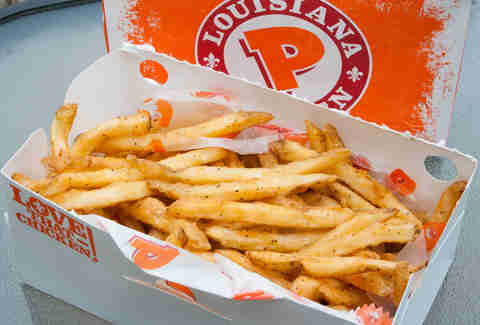 There's a similar spice phenomenon going on here to Popeyes, but the flavor has a bit more punch and the fries have just a touch more heft, which works well here. They're sneaky addictive. It was a struggle to decide whether or not to put Taco Bell's "nacho fries" on here, as like so many Taco Bell items, these are a special that, for now, come and go at the whims of the chain's Dorito-experimenting overlords. 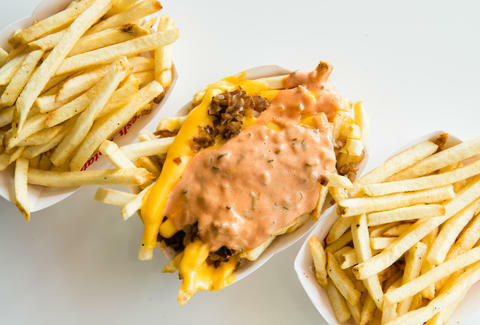 But now that they've enjoyed multiple menu stints it feels fair to evaluate them -- and in my opinion, despite their temporary status, they're the best version of the spiced fast-food fry out there, cheese sauce or no. 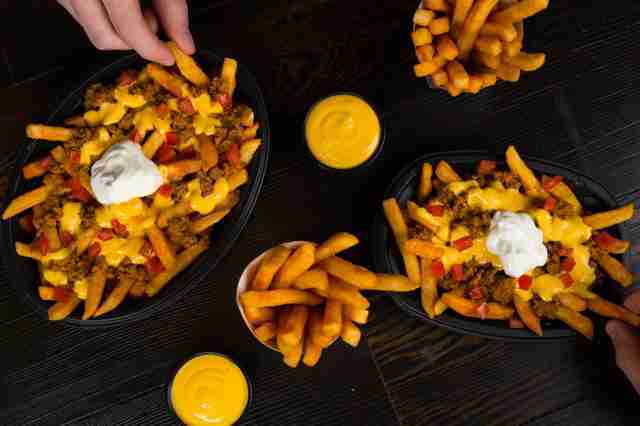 I'll even give Taco Bell a pass for acting like "nacho fries" are some kind of big innovation when Midwesterners have been plowing through cups of cheese with French fries for generations now. So, I'm not sure if there's a halo effect from the undeniable excellence of a ShackBurger, or the "not your typical fast-food chain" reputation Shake Shack has rightfully earned, but I swear these things are light years ahead of any crinkle-cut fry I've ever had. Every last fry achieves just the right golden brownness, just the right salt, with none of that "this came out of a bag" texture that occasionally plagues lesser crinkle-cuts. It's not my favorite style, but I can't imagine anyone doing it better. OK, so a certain sports-ish website run by a certain Deflategate truther recently crowned Chick-fil-A's waffle fries as the best fast-food menu item in America. Don't get me wrong, despite our political differences I love me some Chick-fil-A, and it makes a damn fine waffle fry, but they aren't even the best thing on its own menu (hello, chicken sandwich and chicken nuggets). 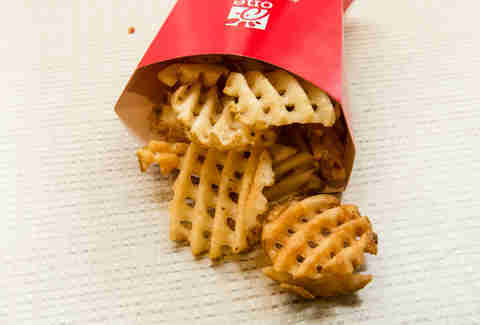 The Chick-fil-A waffle fry backlash is going to be furious, and undeserved, because these were never meant to be anything other than really delicious waffle fries that pair nicely with an otherworldly delicious chicken sandwich. Five Guys cuts its fries fresh, fries the hell out of them in peanut oil, and... dear Lord, look at that amazing greasy mess soaking through that paper bag. They're great. Almost too great. Better than any fast-food fry has any right to be. Which, as weird as it sounds, is kind of a problem for me. They're cut just a bit too big. They feel like they belong in a proper restaurant next to a tulip glass filled with a tart saison and a plate of charcuterie. Which is a scenario I'm totally on board with, but it feels just slightly incongruous when I'm devouring a fast-food burger. It's not you, fries, it's me. It could just be years of conditioning telling me that this is what a French fry is supposed to taste like, but years later, after many cycles of the McRib appearing and vanishing and even recipe changes, when they're right, they're still righter than just about any fry out there. There's a reason these are the fries other places taste-test against when they want to say, "I'm telling you, our fries are really good!" And they probably are. But they aren't McDonald's. Maybe it's a matter of taste. Maybe it's a matter of defensiveness after so much character assassination at the hands of Jon Stewart. I have consumed many a Beef 'n Cheddar with nary an untoward digestive incident to speak of! But I come not to talk of beef, which even speaking as a fan admittedly inspires a tinge of "what exactly is this made of" concern. We're talking fries. Curly fries, specifically. More specifically, gloriously coiled potato fragments bathed in some nuclear-orange spice concoction that boldly states "it's time for your taste buds to party." 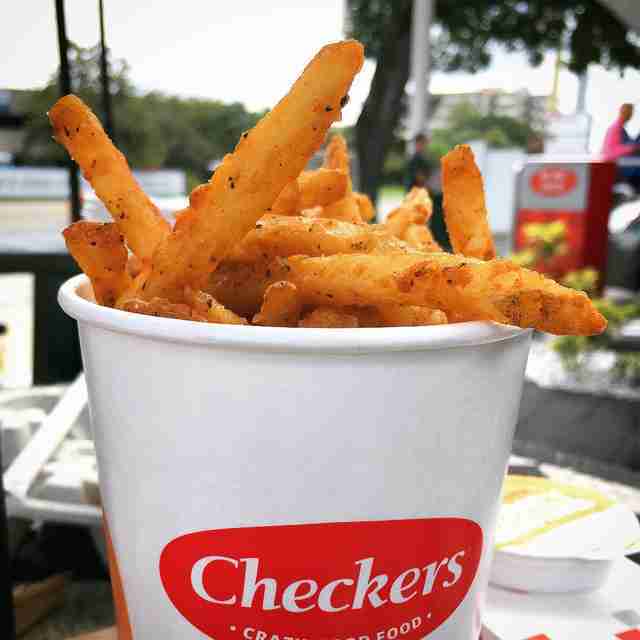 No other fries manage to so consistently steal the show from the rest of the menu. Top them with a combo of Arby's Sauce and Horsey Sauce and you may see the face of God. If you somehow instead see the face of Jon Stewart, offer him a curly fry and then demand an apology. Senior Food Editor Matt Lynch despises ketchup on hot dogs, but French fries are another story. Monitor his cholesterol @MLynchChi.